Heroin is, by far, one of the most addictive substances on the planet. This also makes it one of the hardest addictions to quit. Recovery can be a long, hard road to travel, but, with Sobriety Home at your side, you don’t have to do it alone. With our years of experience and unique approach to drug addiction treatment, Sobriety Home is the perfect partner. 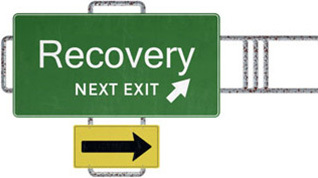 If you’re ready to take the first step down the road to recovery, call us. Addiction is a cycle of anxiety, stress, anger, depression, guilt, and substance abuse. One seems to always lead to the next, until you are so entangled, it’s hard to see where one begins and the other ends. Do you use because of your feelings? Or are your feelings because you use? Break the cycle once and for all. Set yourself free and discover life without your heroin addiction. We believe in a holistic approach to addiction treatment—treating the whole of you. As part of this, we believe that the most successful treatment program is a program that is designed for you specifically, to meet all of your needs. At the same time, our Heroin Addiction Treatment Program is specifically designed for this particular drug addition. The first step of our Heroin Addiction Treatment Program is detoxification. With heroin, this first stage of your treatment can be particularly long, painful, and difficult. However, our detoxification center staff helps you through the physical withdrawal, relieving symptoms in a safe environment. The drug addiction treatment that follows detox will vary from individual to individual, according to your needs. Sobriety Home’s staff of therapists will work with you to design the best program for you, suiting your needs and addressing your problems. Cognitive therapy, though, sits at the very center of our Heroin Addiction Treatment Program, proving very successful. Individual therapy, with group therapy sessions, is the tenet of all our Addiction Treatment Programs. With cognitive therapy, we work to modify thinking, expectancies, negative perceptions, disserving behaviours, and poor coping mechanisms. Other psychotherapeutic approaches are available and may be recommended to you. As a holistic residential alcohol and drug rehab center, we also believe in the value of a varied addiction treatment program that includes therapies from non-traditional approaches. At Sobriety Home, you can take advantage of yoga sessions, creative arts therapy, recreational activities, and more in order to learn about yourself from a different perspective, deepening your commitment to sobriety.